From cars to computers, the 20th century saw an increase in complexity like no other. Consider how the automobile changed our lives to the point that entire cities are designed around it. Grace Hopper summed it up best, "Life was simple before World War II. After that, we had systems." And, ultimately, software engineering is all about managing complexity. At yesterday's Tech Coffee, a fellow attendee shared this 2010 NPR piece with me. This radio interview highlights the importance of using checklists to avoid medical complications. 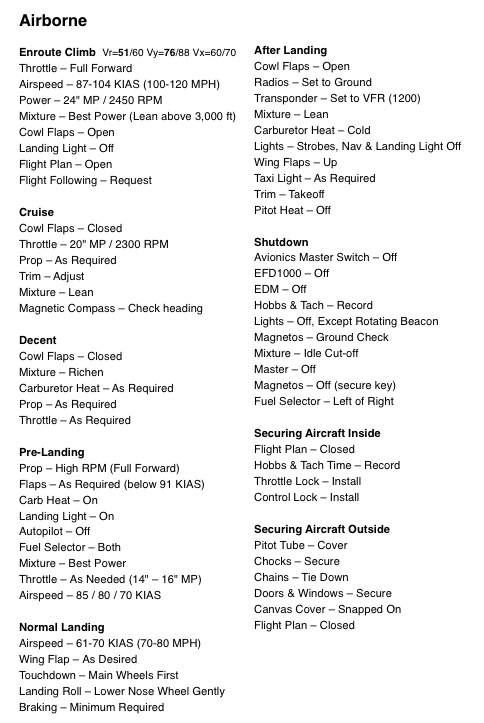 Checklists are common, especially in aviation. But it took decades until it was incorporated as a crucial component in a pilot's standard flight procedure. As a time management aficionado I have great respect and appreciation for the checklist, especially in aviation where missing a single step can be deadly. Initially, it seemed odd that 20% of the medical profession was strongly against using a checklist. When these medical professionals where later asked, "If you were to have an operation would you want the checklist?" 94% supported it. Deadly mistakes by medical professionals have less of an effect on themselves compared to their patients. This is very different in aviation where a deadly mistake can cost pilots, as well as passengers, their lives. It's amazing how much work it takes to simplify complexity.